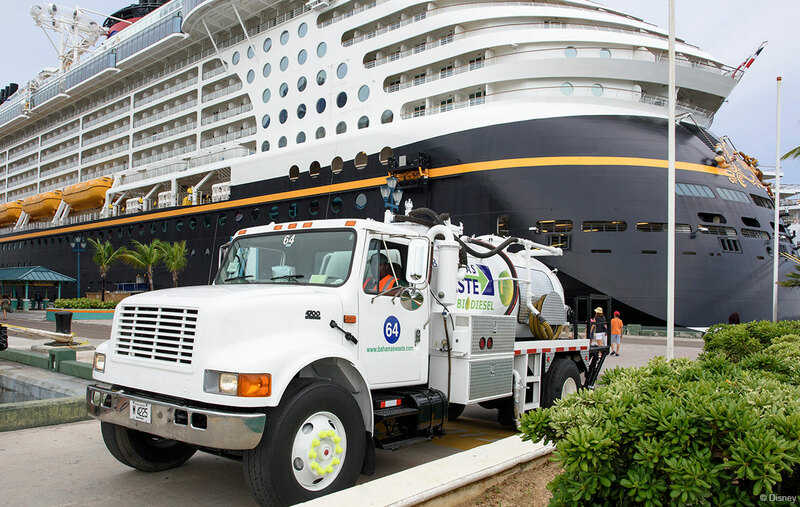 Since March 2011, Disney Cruise Line has donated more than 60,000 gallons of used cooking oil to Bahamas Waste Management to help power their fleet of vehicles in Nassau. Bahamas Waste collects the used cooking oil directly from Disney Cruise Line ships at the Port of Nassau and then converts it into biodiesel fuel – a nontoxic and biodegradable fuel that drastically reduces engine emissions in comparison to traditional petroleum diesel. Today, approximately 25 of Bahamas Waste’s vehicles are fueled by biodiesel and the organization has future plans to expand to its entire fleet. 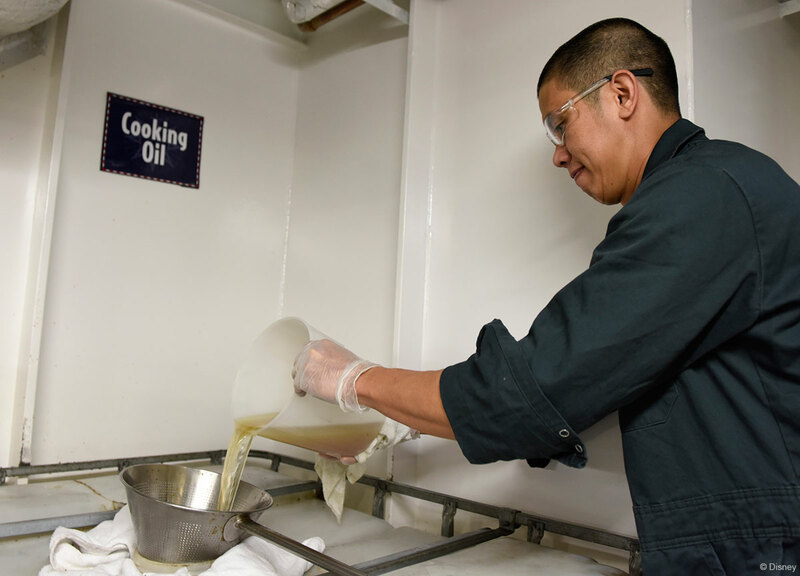 On a weekly basis, more than 1,000 gallons of used cooking oil are offloaded Disney Cruise Line ships and recycled in ports of call around the world. Disney Cruise Line’s recycled oil program is one of many environmental initiatives focused on utilizing new technologies, increasing fuel efficiency, minimizing waste and promoting conservation worldwide. Disney Cruise Line strives to instill positive environmental stewardship in cast and crew members and seeks to inspire others through programs that engage guests and the communities in its ports of call. This entry was posted in News and tagged Environment, Nassau by Scott Sanders. Bookmark the permalink. They also use the oil to power the trams and other vehicles at Castaway. Gunther, the island manager, designed the system. Bio Diesel is not non toxic. It is less toxic that regular diesel. There are still Co2 emissions, but at a reduced amount in comparison. I didn’t write the press release… DCL did. Sorry, It isn’t clear the whole article was a press release. Seriously, It was my bad. I honestly just did a copy/paste on this one. You did bring up a valid point.